The Bajaj Pulsar is the No.1 selling premium sports bike brand in India with over 40 per cent market share. 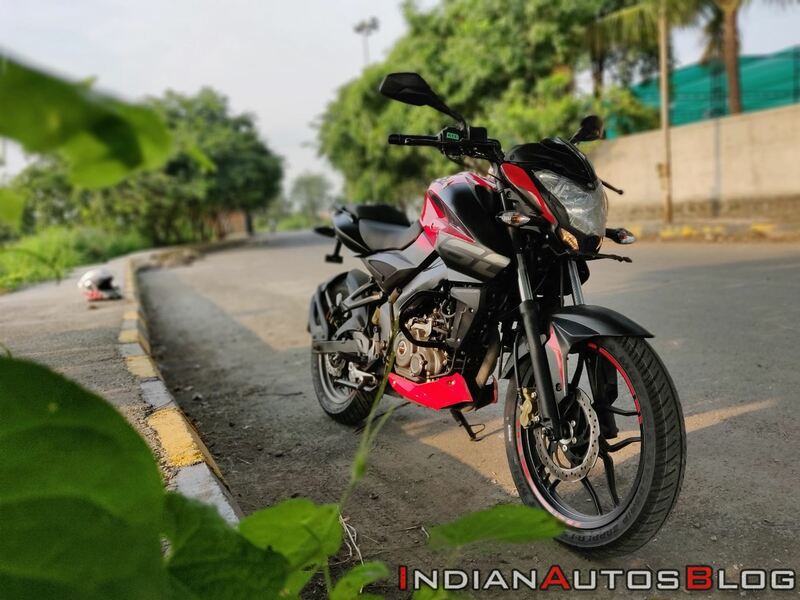 Bajaj Auto records average monthly sales of over 63,000 units of the Pulsar in the domestic market, with the Pulsar 150 accounting for most of the numbers. 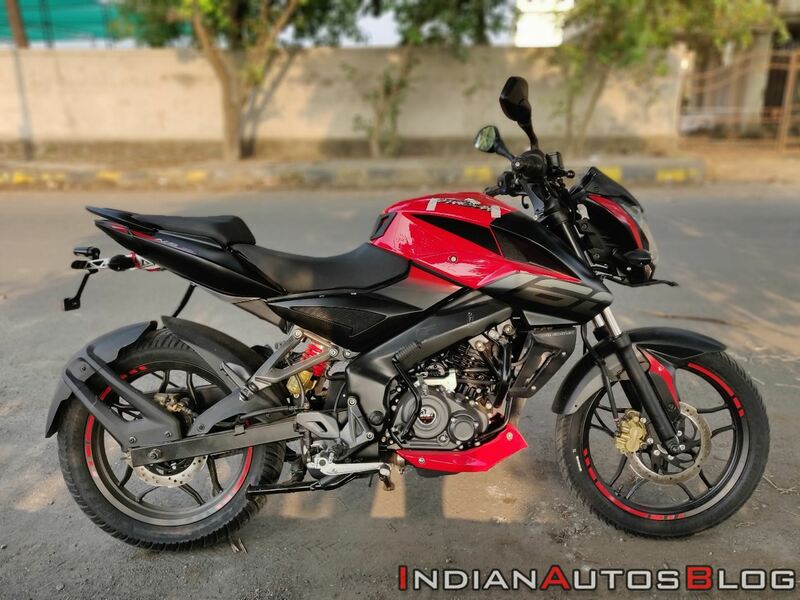 Owing to the introduction of new motorcycles like the Suzuki Gixxer and the Honda CB Hornet 160R, Bajaj Auto launched the Bajaj Pulsar NS160 in India. While the Pulsar range has always been feature-rich, a major drawback with the Bajaj Pulsar NS160 was the unavailability of a rear disc. 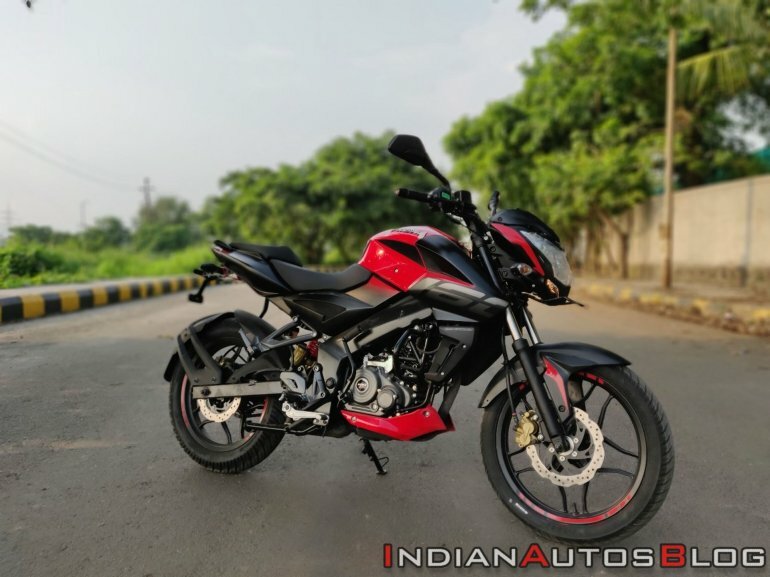 Bajaj Auto launched the Pulsar NS160 Twin Disc variant in India to take on its arch rivals and be well-equipped for the upcoming festive season. We have already reviewed the single-disc version of the Pulsar NS160, which you can read here. 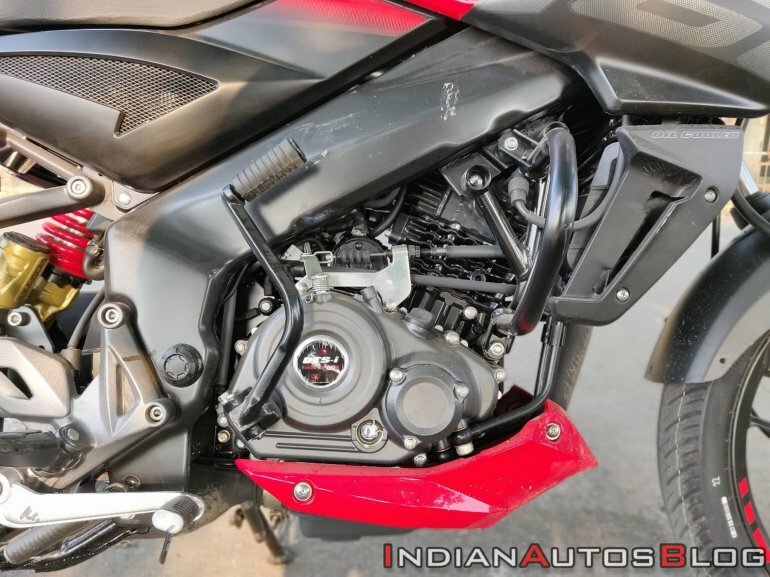 However, does the new Bajaj Pulsar NS160 Twin Disc model offer better braking performance? Let’s find out. Before we delve into the performance and braking aspects of the Pulsar NS160 Twin Disc, let’s have a look at the layout of the bike. The design of the Bajaj Pulsar NS160 Twin Disc remains unchanged apart from the addition of the rear disc brake. The bike shares its design with the Pulsar NS200 with most of the bodywork directly lifted from the elder sibling. That said, lower components like swingarm, suspension units, disc brakes and tyres are smaller in comparison. Similar to the design aspect, the equipment list on the Pulsar NS160 Twin Disc variant remains the same. 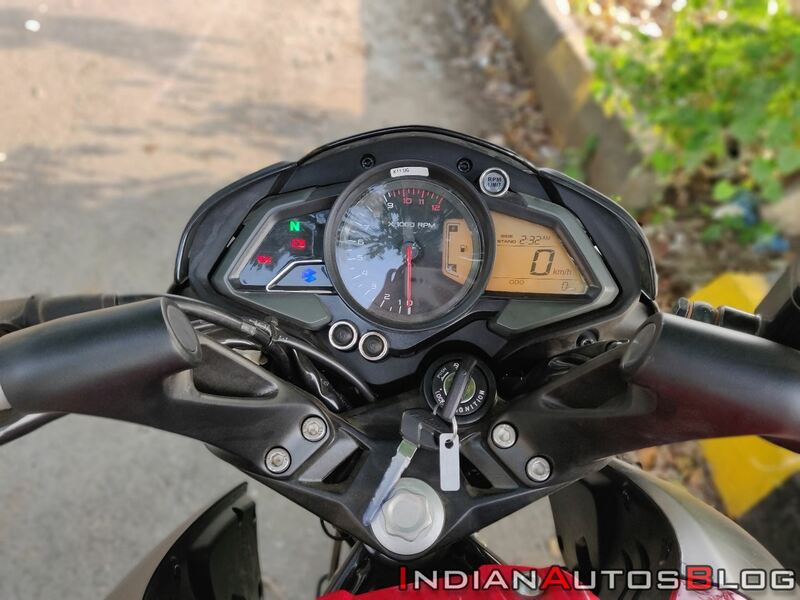 To summarise, the motorcycle comes with a semi-digital instrument cluster, petal disc brakes at both the ends, split seats and LED taillights. The bike has a fuel tank capacity of 12 litres. As is the case with most Bajaj Pulsars, the NS160 has a high-revving engine. The powertrain pumps out 15.3 bhp of power at 8,500 rpm and 14.6 Nm of peak torque at 6,500 rpm. This is an all-new 4-valve engine that mates to a slick-shifting 5-speed gearbox. On paper, it is one of the most powerful motors in its segment. That said, the engine on the Pulsar NS160 has a very low bottom-end torque and offers good mid-range and top-end performance. The first two gears are spaced closely, and you need to work the gearbox in low-revs to manoeuvre through traffic. The gearbox is smooth as well, and finding the neutral isn’t an issue. 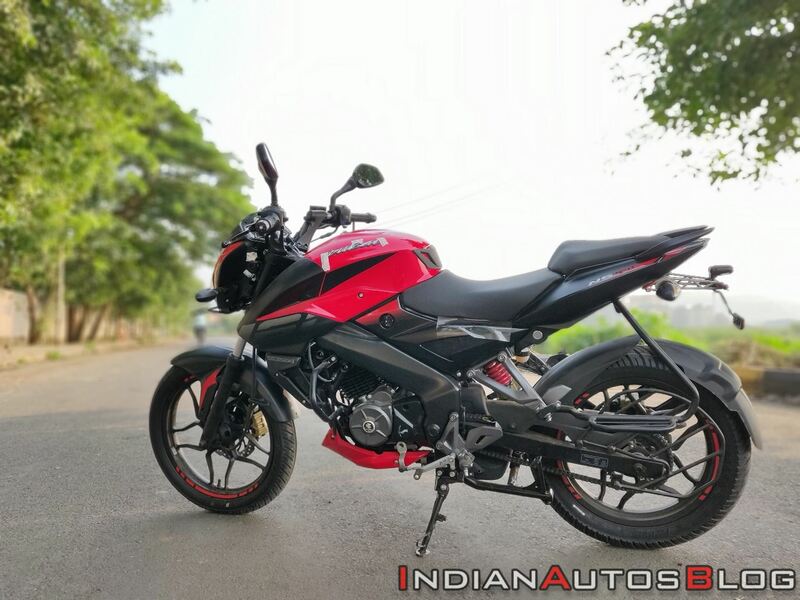 While the gearbox is better than the one on the Honda CB Hornet 160R, it isn’t as slick as the Suzuki Gixxer. Moreover, the clutch has a longer pull-action. Unlike some Pulsar engines, the 160 motor is well-refined. Its only post 7,000 rpm that the engine starts vibrating mildly, and you can feel it on the seat. With the addition of a rear disc brake, one would expect the braking performance to improve drastically. Well, to some extent it has, but the overall braking performance left me with underwhelming feedback. First up, the brakes lack the initial bite and feel. However, both the rotors offer good progression and feedback. Bajaj seems to have tuned the brakes for progressive feedback, especially considering it isn’t offering ABS, yet. As compared to the rear drum brake setup on the old bike, braking has definitely improved at the back; however, the rear wheel locks up easily under panic situations. The suspension setup on the Bajaj Pulsar NS160 is tuned to offer a comfortable ride. The bike features telescopic front forks and a gas-charged rear mono-shock with preload adjustability. The suspension gobbles road undulations and potholes with ease. It isn’t soft by any means, and one can ride the bike aggressively. 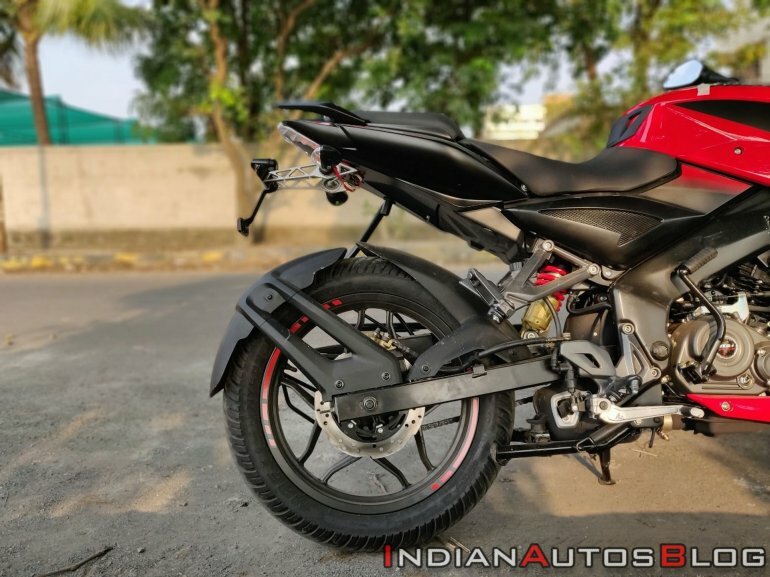 The Bajaj Pulsar NS160 uses the same perimeter frame from the Pulsar NS200. While it is one of the best chassis in the segment, the ride and handling are not as good as the Suzuki Gixxer. That said, the plush suspension setup is definitely a few notches above the Honda CB Hornet 160R. However, what robs you of the performance are the tyres. The bike rides on 17-inch alloys that wrap on 90/90 R17 front and 120/80 R17 rear MRF Nylogrip Zapper tyres. While the grip levels on offer are decent at best, the competition offers gripper 100-section front and 140-section rear tyres. The Bajaj Pulsar NS160 is a well-balanced offering with the addition of a rear disc brake. It offers excellent performance and a balance between a compliant ride quality and above average handling. At INR 84,691 (ex-showroom Delhi), it is priced at just INR 3,300 over the Suzuki Gixxer but is over INR 1,000 cheaper than the Honda CB Hornet 160R and the TVS Apache RTR 160 4V.